Theories of international relations in the grand sense are rare. Hans Morgenthau “purport[ed] to present a theory of international politics” in 1948. Raymond Aron’s Peace and War: A Theory of International Relations appeared in 1962. Kenneth Waltz presented his unmodified Theory of International Politics in 1979. It would be twenty years before Alexander Wendt countered with another article-less book title: Social Theory of International Politics. 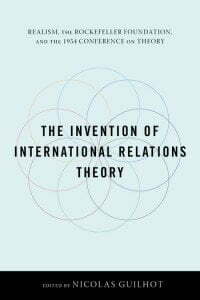 A decade later, Richard Ned Lebow presents A Cultural Theory of International Relations, returning an indefinite article to his title along with a page-count rivaling only Aron’s tome. The modesty of the title, however, belies the book’s ambition. The reviewers praise the historic breadth of the book and welcome its focus on honor and social standing as explanatory factors. They differ on the value of grand theory. Richard W. Mansbach embraces Lebow’s project, both in its theoretical ambitions and its empirical insights. Patrick Finney is sympathetic to its culturalist core but more skeptical about the novelty and explanatory power of some of its claims. Geoffrey Roberts commends it as a grand historical narrative, but has doubts about the enterprise of grand theorizing in general. In the end, the merit of grand theory itself more than the specifics of Lebow’s offering divides Mansbach’s more favorable review from the more critical appraisals of Finney and Roberts.